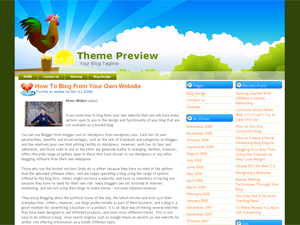 Morning wordpress theme is a nice Web 2.0 design with a header drawing shoing a rooster sitting on a fence and singing his morning song while the sun comes up. There are also some trees and white clouds visible in the background. 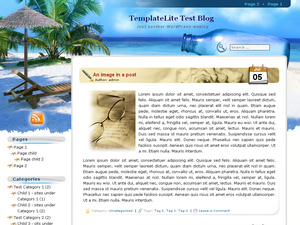 Overall this is a 3 column wordpress template with main content area located on the right side while the two sidebars are on the right. The middle sidebar supports wordpress widgets while the outermost sidebar shows a list of recent posts and a placeholder for Ads. 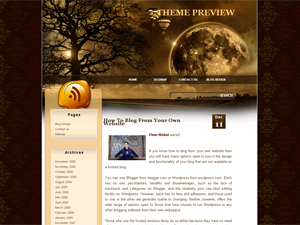 Morning wordpress theme was designed by Jinsona Designs. My Bay is a trully amazing wordpress template with a vibrant, bright colored header graphic featuring a lighthouse on a hilltop, some trees and clounds over the blue skies. The pages menu is imposed over the header image. My Bay is a two column wordpress theme with sidebar located on the left side and it contains all the usual wordpress menus. If it weren’t for the amazing header graphic this would be a simple and minimalist wp design. 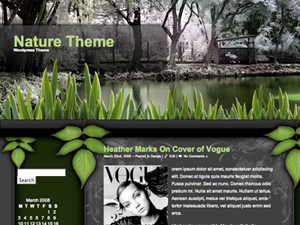 My Bay wordpress skin was designed by Lorelei. 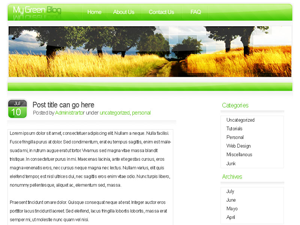 Shiny Green is a lovely minimalist wordpress template design. 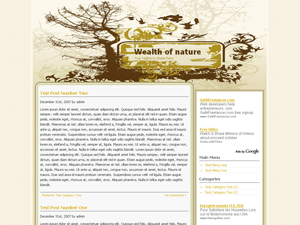 It features a header image of golden wheat field and some trees with a field road in between. Mostly the theme is white with barely visible content box outlines. 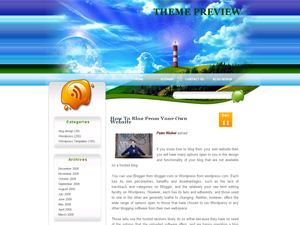 The wp theme’s page menu is green and placed on top of the header. 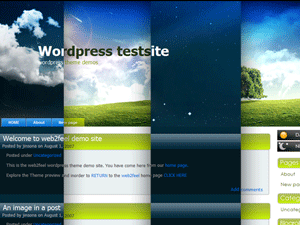 Sidebar is located on the right side and it contains all the standard wordpress menus. 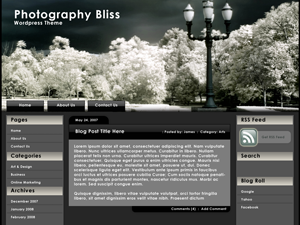 Shiny Green wordpress theme was designed by Elib.